The Ant Moore Estate vineyards are based around Marlborough in each of the sub-regions of the Awatere, Waihopai and Wairau Valleys. These regions each have their own micro-climates and terroir that provide a unique personality to the vineyards and its grapes. The location is generally more restrained with minerality, complexity, and great balance all resulting in rich wines. Moore purchased the land he converted into vineyards and has made on of them his home block where he can keep an eye on the every-changing activity that happens in the vineyards. His control and hands-on management of the vineyards and the wine making process, creates rich wines, with ripe favors and texture and fresh and lifted aromas, signature of the Marlborough terroir. 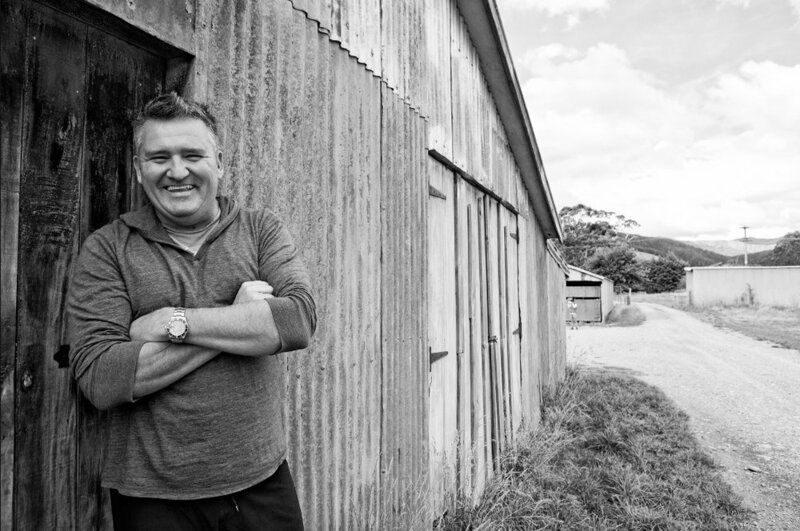 Ant produces Sauvignon Blanc, Riesling, and Pinot Gris from his vineyards in Marlborough and a Pinot Noir made from Central Otago fruit. In general Ant includes a great deal of variation and variety in the parcels of fruit that come from the vineyard. To achieve this, I treat various sections of the vineyard differently; opening up the canopies and exposing some fruit to the sun, whilst leaving some shaded, cropping at different levels, and harvesting at varying times to get a range of ripeness and characters. The underlying nature of the vineyard or terroir is still present, and we try to preserve this, I guess it’s our “house style”. It’s typified by lemon lime, stone fruits and citrus, with minerality and tightness on the palate. The wines tend to be structural and textured, though not as overt and intense as some, they age well, and really look their best 6 months after release (when a lot of Marlborough Sauvignons are starting to tire).